A key trend this Autumn is the humble cardigan, I gave you a little tip about this in my first AW17 post. This weekend we celebrated my grandmother’s 90th birthday, she has a couple of weeks to go until THE big day, but we chose the summer holidays to celebrate to ensure the great-grandchildren could all be there. Interestingly most of the women had cardigans, which all matched their outfits. 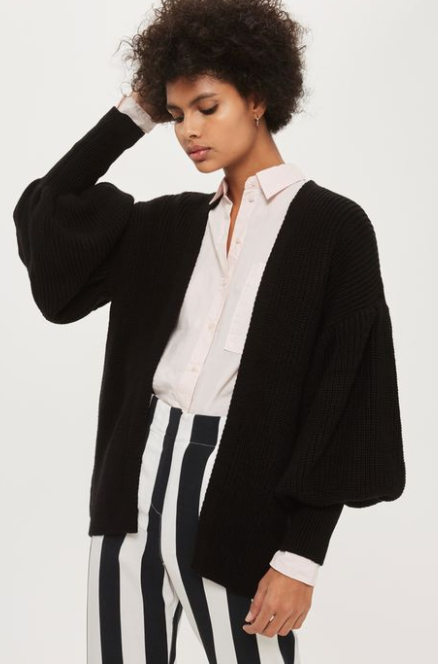 I think that’s one of the differences between jumpers and cardigans, jumpers we are happy to go loud and be contrasting and yet cardigans it seem to follow the pashmina clan of having to comply and fit in. 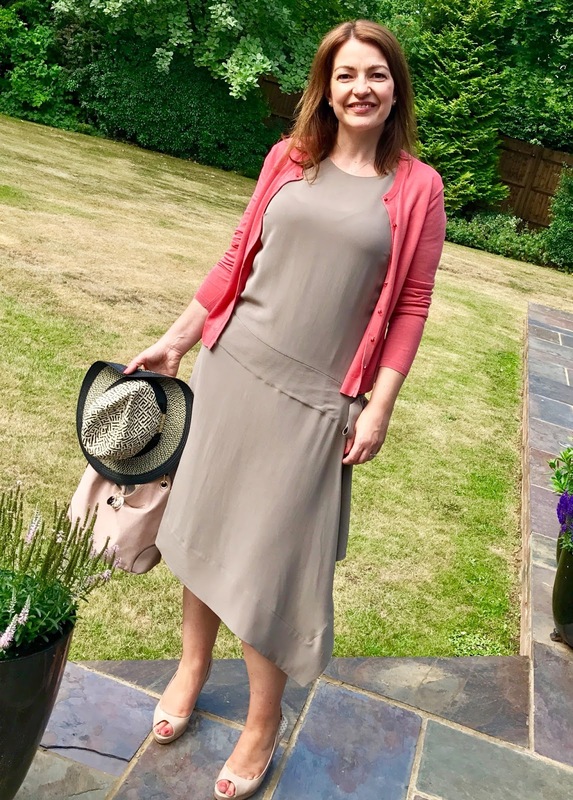 Buttons are an item I can be quite fussy on, if I don’t like the look of the button regardless of the quality of knit, colour or brand – I will not buy it. This one I am wearing above from Hallhuber I loved the buttons instantly and so I was sold on that alone! This one has been flagged on the site as a ‘trending product’ which means you’ve not got long until it’s sold out – only Medium and Large left! I’m loving the sleeves. Ooh I love this look of wearing three of them together, this is a great idea! I love pearl buttons, fake or real is fine with me! And at £19.99 you can afford to do the combination look. 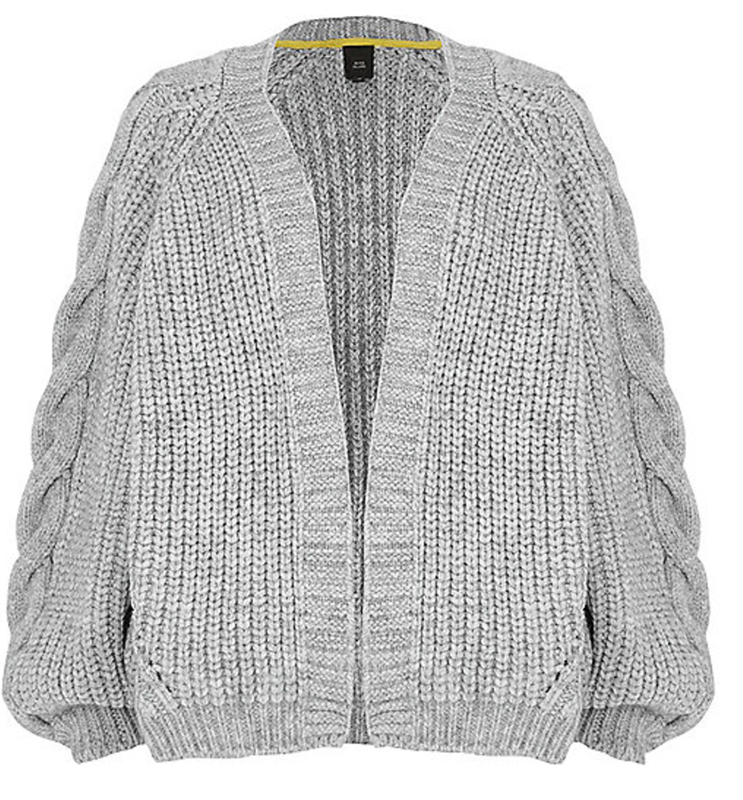 Go chunky with open front cable knit cardi in grey – it will look fabulous with jeans for a relaxed weekend feel. If you are looking for choice when it comes to colour, head over to the Kettlewell Colours site, you will be spoilt for choice. This 70% cotton, 30% merino wool is an Italian yarn and I will be styling this product shortly for my blog, so watch out for more on this! OMG this one looks very “Joan” from Mad Men; this reads wear me with pencil skirt PLEASE – I love love love the buttons too! 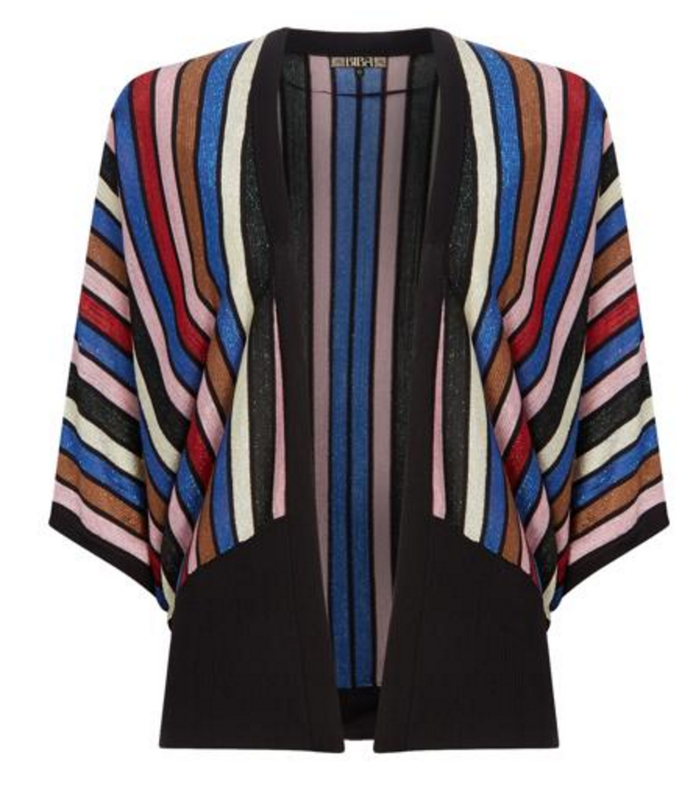 And if you are looking for something a little bit different that you can dress up or down, then Biba is where to go! This one is fabulous, and even more so as it’s reduced! !